Since taking up blogging, my going-out wardrobe has expanded unexpectedly for the different fashion and blogging events that I get invited to. It's not very School Gate Style I know but I do try to keep it real and mix in some of my day time wardrobe so that you can hopefully get some ideas for making your wardrobe work day to night. For an event last week hosted by Benefit Cosmetics Ireland in Menary's Department Store, Lisburn, I wore some zebra print with skinny jeans. Apart from the dress, I've worn all the other items on the school run. I've a few short dresses that I often re-cycle over skinny jeans for less formal events. And these skinny jeans by GOK are amazing - a gorgeous fit and they don't fall down, bag at the knees or have a dodgy zip! So the event was a 'meet the bloggers' type event where we got to talk to the Benefit Ireland team, learn more about the brand and play with the new limited edition Christmas sets that Benefit bring out each year. We were entertained for the evening by the fabulous Mark Rogers, Benefit's Training Manager for Ireland. He is passionate about the brand and had so much energy all evening. The new sets are stunning and very well priced this Christmas and limited in numbers so if you're a Benefit fan, you'll want to check them out now! Here I am with fellow FABB bloggers, Gemma-Louise and Cathy. Can you tell I've had a few glasses of bubbly??! To thank us for coming along on the evening, we were treated to one of the kits..the How To Look The Best At Everything kit, which includes all you need for a flawless complexion.. It includes a small size Porefessional primer, Hello Flawless foundation, Boi-ing concealer and Hello Flawless powder, along with a list of hints and tips for how to use each product. A lovely gift that I'm using every day now...I especially love the primer. All of the giftsets and individual products are available in-store in Menarys and a huge range is also available online! Thanks to the team at Menarys and Benefit Ireland for a wonderful night! I didn't realise these were your Gok jeans! 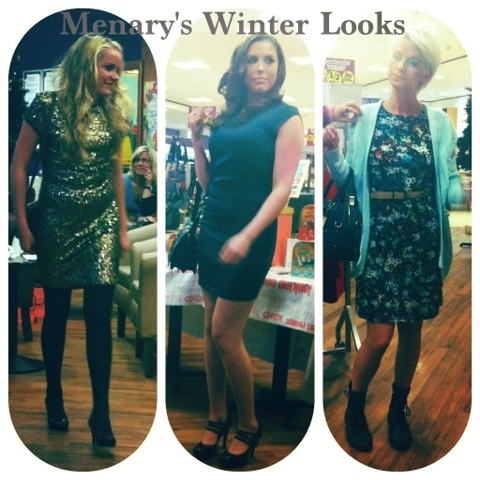 They looked different the other night- shows you can style them lots of different ways! It's a nice print and looking good during the holidays. This style will give a different and perfect look when you will go for a weekend at hotels. I just love your trench coat. Now Zebra I have not tried though I do fancy some little zebra pumps should I come across the right pair. Isn't it wonderful how blogging has taken you down such a wonderful and entertaining world. Total respect for being recognised for it and being invited to all these wonderful events. Jeans look great and I too am in awe of how successful your blog is and how you've entered this new exciting world. Good for you! Hi Avril I love your blog, I have been following you for a while now when time allows, so just had to say I'm so excited to be going to blogfest in November to get some great tips as I am starting my own blog soon, a dream I have had for some time now! Have you tried the benefit mascara called they're real? it gives the most fantastic lashes, I've had to hide it from my daughters, but I always know when they've found it their eyes look stunning. You look fab Madam & I LOVE Benefit- looks like a great night all round!